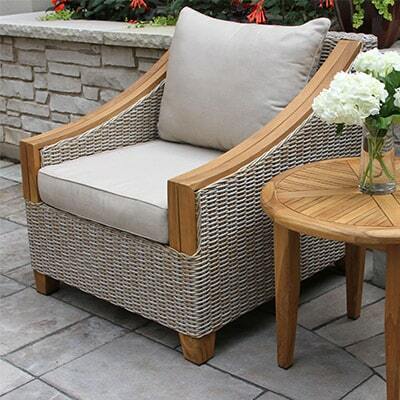 The Outdoor Interiors Fully Assembled 7pc. 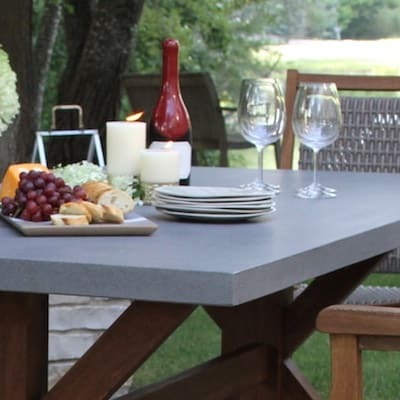 Wood Fold & Store Oval Dining Set with Granite inlays includes the large Oval Table, 6 Chairs, Grey Cushions & Cover for storing outdoors on patios, decks or sheds. Includes Umbrella Clamp requiring no umbrella base. The 7pc. 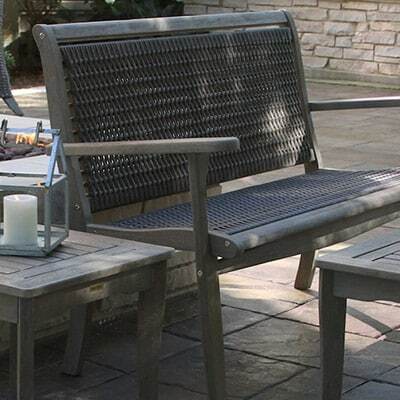 Set with Granite Inlays and Grey Cushions is made from plantation grown Brazilian Eucalyptus and is finished with a beautiful brown umber stain for long lasting outdoor use and exceptional durability in all climates. 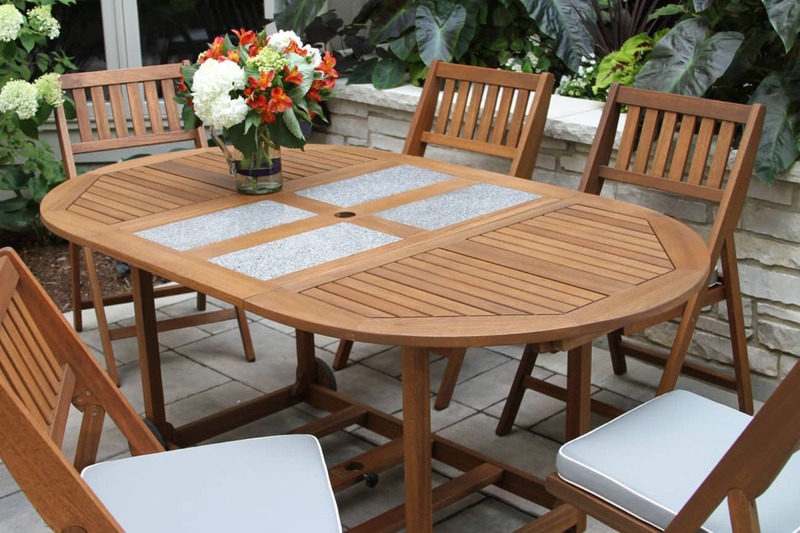 This large 71” x 41” oval dining table comes with 6 comfortable folding chairs and solutions galore. 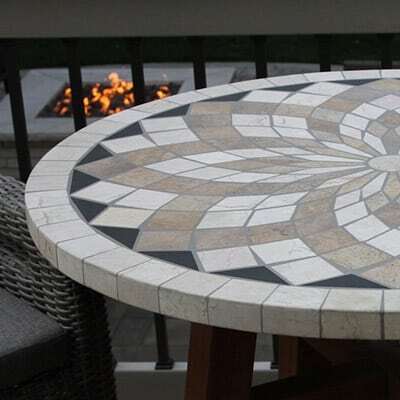 When not in use during the winter or out of season storage, you simply rotate the table top and fold down the attached leaves. The 6 chairs along with the cushions store under the table into one amazingly condensed rolling cart. The Set includes 6 blue cushions and 2 heavy-duty wheels for easy rolling, built-in umbrella clamp (no need for a base) and cart cover complete the set! 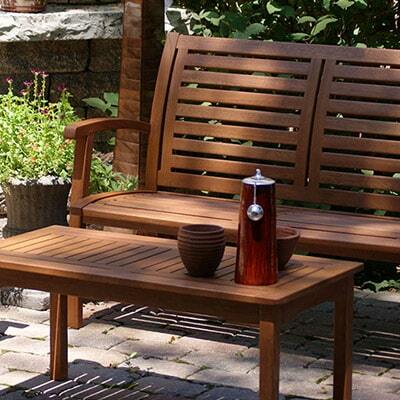 Made from plantation-grown Brazilian eucalyptus hardwood that, because it performs like Teak, will provide years of attractive durability for the harshest weather.